Not sure what’s for dinner tonight? 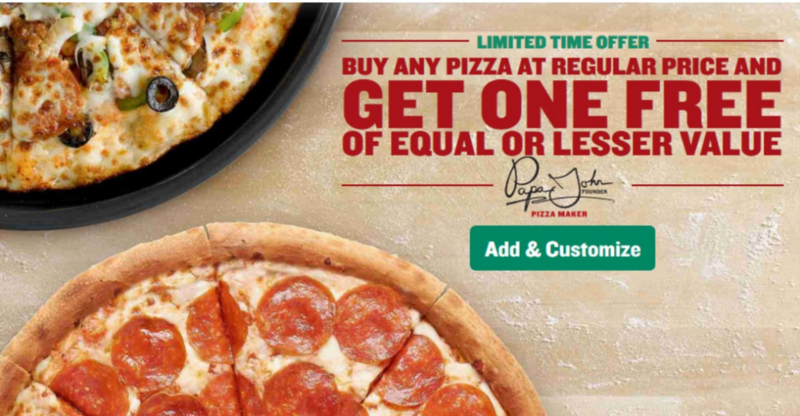 Today only, you can use this Papa John’s coupon code to buy any pizza at regular menu price and get a second pizza of equal or lesser value for FREE! To get this deal, use coupon code BOGODAD at checkout. You can get a large cheese pizza for $6.50 with this deal. Offer valid today only, 6/18.